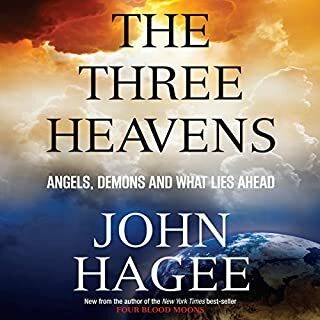 In The Three Heavens, Hagee uses the Word of God, science, and incredible true stories of the supernatural to explore the First Heaven. He then exposes Satan's diabolical tactics in the Second Heaven and how they affect each one of us. Finally, he looks at the deep riches of the Third Heaven and how our hope of that eternal home changes our life on earth. It's a wonderful secret the Jewish people have known for centuries. A gift Christians have neglected for far too long. It is the life-transforming power of the "Prophetic Blessing." 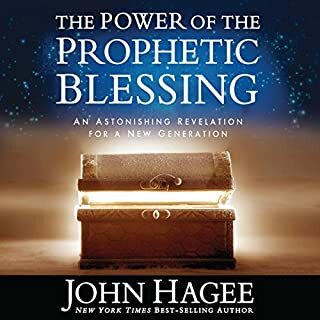 And in this remarkable audio book by pastor and New York Times best-selling author John Hagee, you'll learn what it is, the way it is presented throughout the narrative of Scripture, and most importantly, how you can release it into the lives of your loved ones and receive it in your own life. 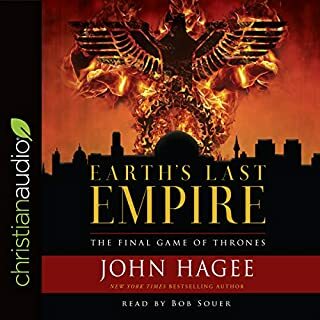 As an outspoken, conservative Christian leader, Pastor John Hagee heats up the debate about the intersection of American politics, Iran’s evil intent, Israel’s heritage, the Mayan Prophecy for 2012, and the end of the world. Carefully documented facts and powerful biblical teaching are the basis for the provocative claims and predictions outlined in this riveting book. A WAKE UP CALL FOR AMERICA!!!! Over the last 500 years, blood-red moons have fallen on the first day of Passover three separate times. These occurrences were connected to some of the most significant days in Jewish history: 1492 (the final year of the Spanish Inquisition when Jews were expelled from Spain), 1948 (statehood for Israel and the War of Independence) and 1967 (the Six-Day War). Every heavenly body is controlled by the unseen hand of God, which signals coming events to humanity. There are no solar or lunar accidents. Could WWIII be around the corner? 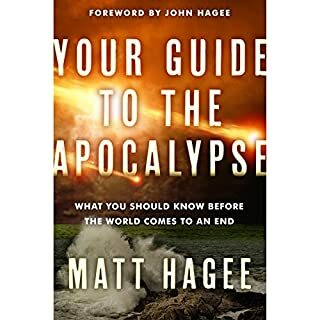 Dr. John Hagee predicts a world-changing nuclear showdown is imminent in the Middle East - one that will jump-start Armageddon. Jerusalem Countdown unveils the reasons radical Islam and Israel cannot dwell peaceably together. Dr. Hagee identifies the key players in the upcoming conflict, explains the roles Russia, China, Europe and America will play, and unveils God's apparent plan for His people in the coming crisis. Audiobook narrated by Eric Martin. Demons are real. If you find this hard to believe, you are not alone. Yet many of the problems you deal with come directly from the realm of darkness. They are demonic. But this is no cause for fear. In fact, there's freedom in knowing you can overcome these problems! Help is available for you. And you do not have to wait for somebody else to deliver you. With Jesus' help, you can free yourself. Setbacks, tough times, and unpleasant surprises don't just happen to some; they happen to everyone. They will happen to you. Maybe you are in the middle of one right now, wondering why and how you will ever get through. 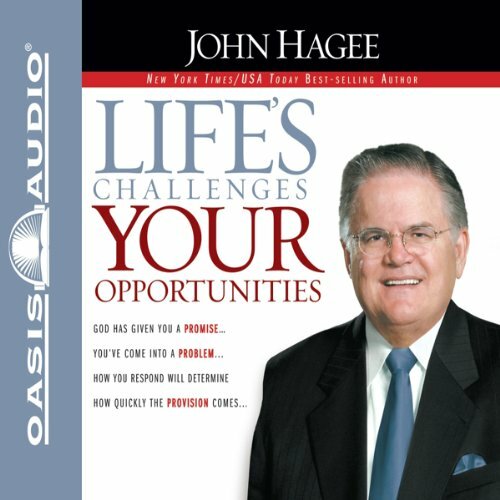 In Life's Challenges - Your Opportunities, Pastor John Hagee gives you the tools you need to move confidently through the challenges of life and into God's promises for you. 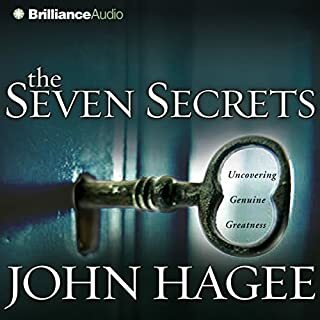 Pastor Hagee addresses many of today's most common trials and applies relevant biblical principles that will take you through your troubles and on to your dreams, showing you step by step how to confront the problems in your life head-on, stand on God's promises to solve them, and move quickly through your problems and receive God's provision. 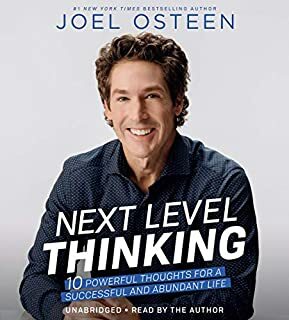 This life-changing book includes encouraging testimonies of people just like you who have encountered major problems, stood upon God's supernatural promises, and received God's perfect provision for their lives.